You all know my motto is 'go big or go home.' It goes for makeup, hair, fashion, and yes - even food. 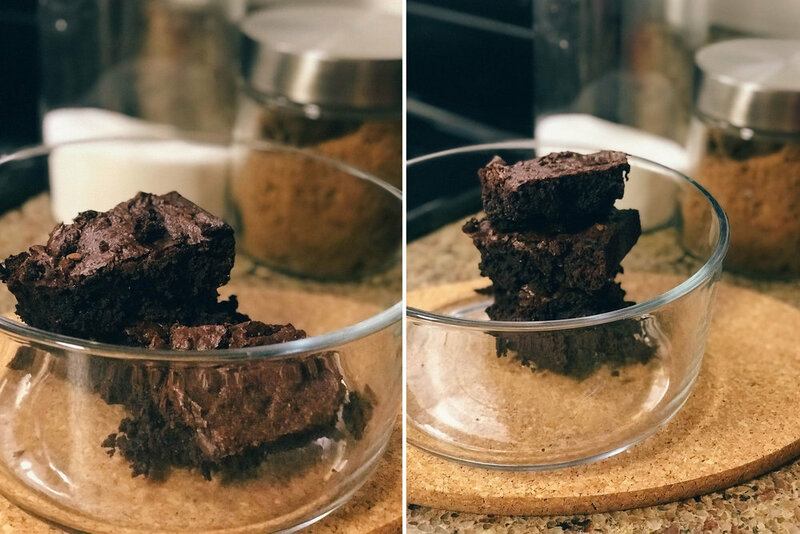 I came across this fudgey brownie recipe on Pinterest and I immediately had to try it (PS: I actually started using Pinterest and boy oh man do I love it - you can find me here). I made quadruple the recipe below and it was perfect. I gifted some, but ate most. Stop judging me. Lightly grease an 8-inch square baking pan with cooking oil spray. 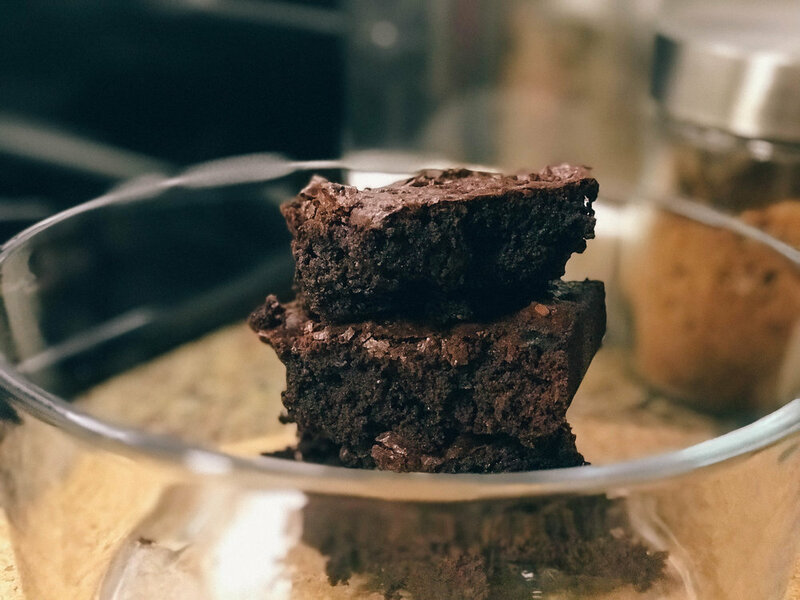 Since I did quadruple the recipe both times I made these...I used a giant, giant pan. Combine melted butter, oil and sugar together in a medium-sized bowl. Whisk well for about a minute. Add the eggs and vanilla. Sift in flour, cocoa powder and salt. Gently fold the dry ingredients into the wet ingredients. This step is everything. Bake for 20-25 minutes. I wound up doing a little longer because I was making so many brownies.